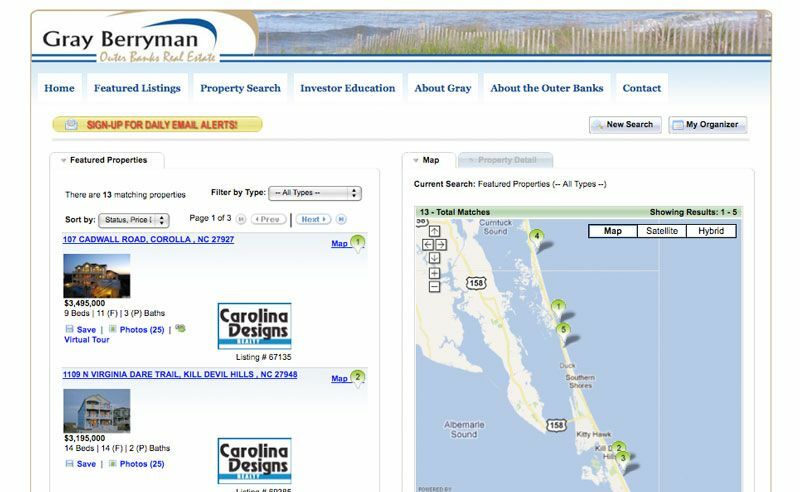 The main property search page offers visitors a variety of ways to find their home, including a quick search box. Search results show the listings down the left and their location on a map on the right. 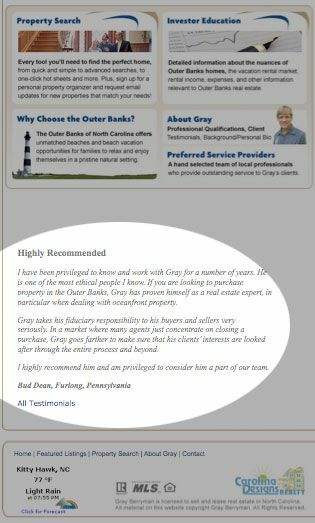 Gray’s listings always display first in any searches, and display with his logo. 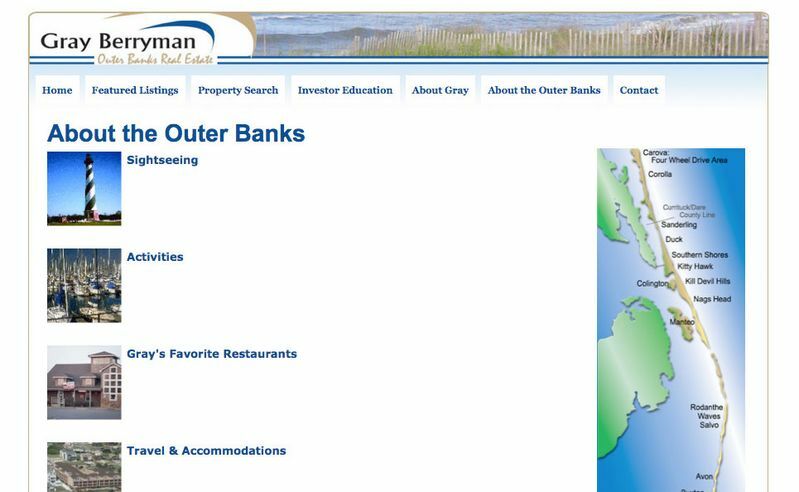 A collection of pages of information about the Outer Banks helps realtors establish themselves as the local expert. Updating is a breeze with our CMS system. 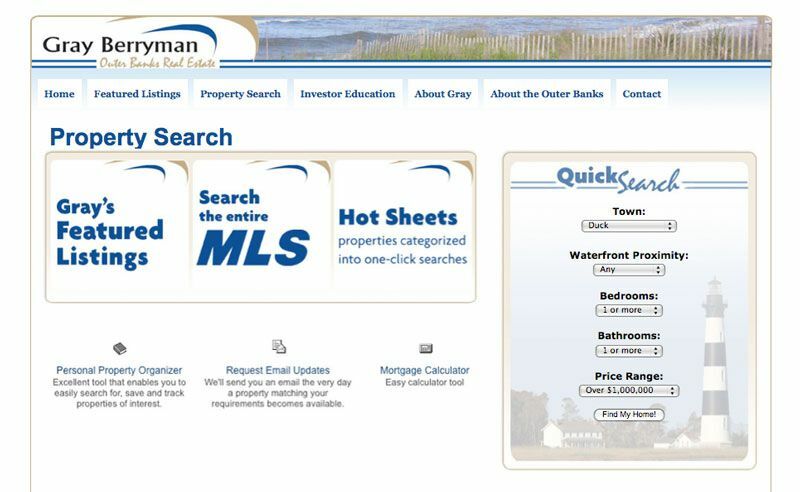 A series of “hot sheets” or one-click searches allow Gray’s target clients easy access to the listings they are looking for. 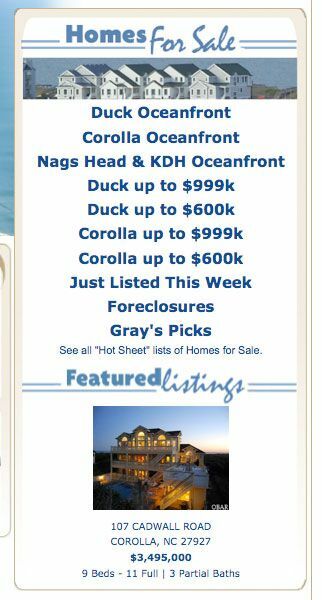 Below, a slideshow of all of Gray’s current listings. At the bottom of the page is a testimonials “widget”. 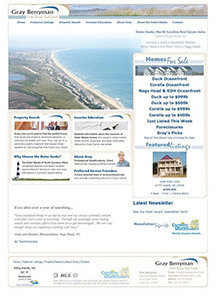 It displays a different client testimonial each time the page is visited. A link below the quote takes you to a full page showing all of the testimonials. It’s very easy to add more quotes. 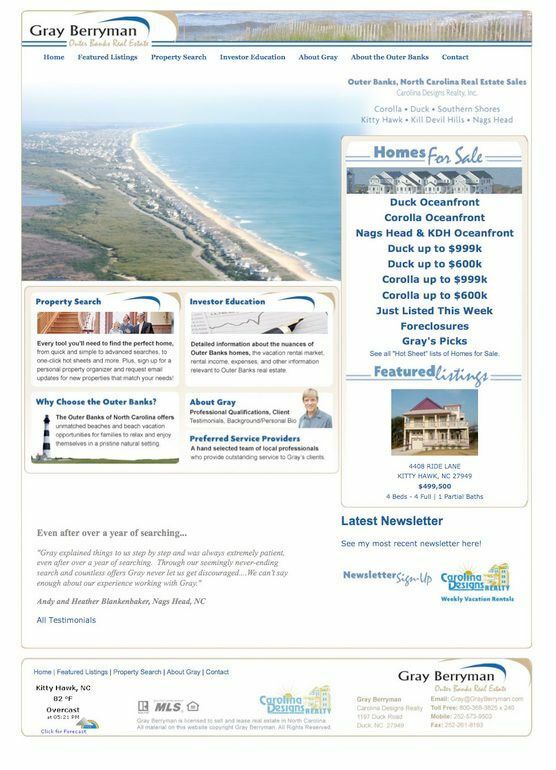 An individual agent website with a featured listing slideshow and quick search on the home page. Gray’s site was one of the first to transition to our newest software version with large, visually appealing map-based search results, photo carousels and slideshows and more engaging lead capture buttons.